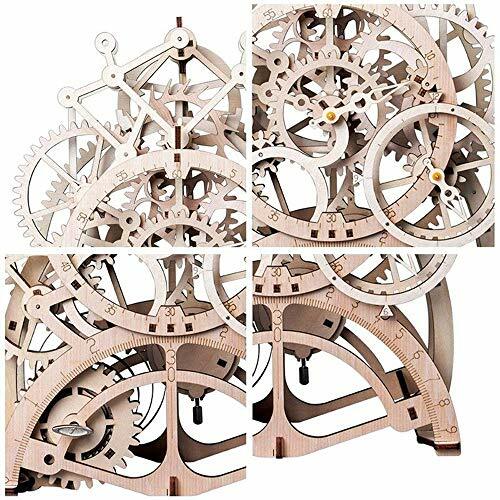 This is a model clock kits,not a real clock.The clock will run for a few hours once it is fully wound. With Laser Cutting Technology,the pieces are easy to remove from the sheet of plywood,no residue smoke burns. Utilizing safe and environmentally friendly wood from all-natural trees without any added toxins. Even children can safely play with sets without fear of exposure to harmful chemicals or dyes. 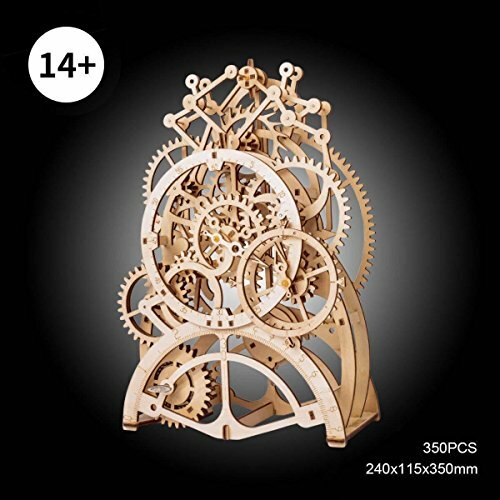 The 3D wooden puzzle has decorative designs that look captivating in the finished product. No words can fully describe the satisfaction upon completing a full set! You will certainly be proud displaying your creation for all of your friends and family to admire! 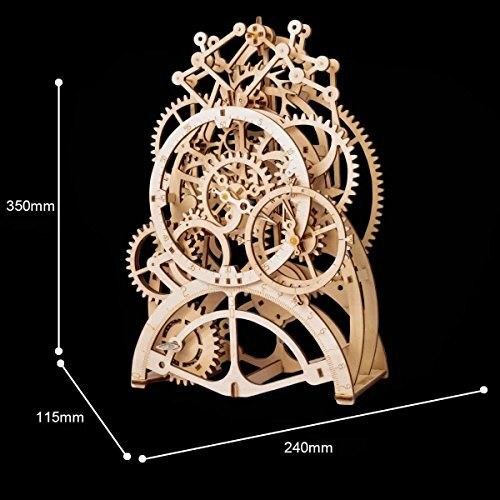 Our DIY 3D wooden puzzle will be a very attractive decorations when you put it in the Bookcase,Display Cabinets etc. Solving 3d puzzles flexes mental muscles and provides many benefits for both children and adults including but not limited to enhanced memory,focused conentration. Learn the art of patience and organization as you separate pieces from the 3d puzzle and figure out where each piece goes in order to assemble. This also provides an effective way to develop motor skills,pattern recognition,hand-eye coordination and build a better sense of structures. Due to the small size of some pieces,adult supervision is required.Small parts,not for children under 3 years.